Neal’s entire life has centered on service to his country and his community, a quality he learned from his parents. He is also a lifelong Republican. Growing up, Neal was a strong student and an Eagle Scout along with his twin brother Alan. Neal attended Washington & Lee University where he was honored as a Distinguished Military Graduate. He then attended George Washington University Medical School and completed his residency training at Walter Reed Army Medical Center. Following his graduation from medical school, Neal followed his father's footsteps and served his country in the United States Army for over ten years. 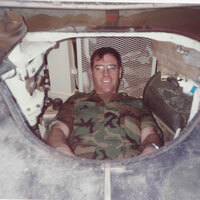 In 1990, after his service in many places here and abroad, Neal and his wife Leah transitioned from Army life and decided that North Florida was the best place to live in America. He began his Urology practice in Panama City and has been a leader in the medical and business community since the time he arrived. He founded Panama City Urology Center, Bay Regional Cancer Center and the Advanced Urology Institute, so he knows firsthand the health care issues that affect our communities. He has served as President of his County Medical Society, Chief of Staff of Gulf Coast Medical Center and a Director of Bay Medical Center Sacred Heart. In his 35 years as a surgeon, Neal received numerous awards, including being named among America's Top Physicians and America's Top Surgeons and to the Junior Achievement Hall of Fame. He is proudest of being named Bay County's Public Health Hero by the Florida Department of Health in 2014 for his service to the community. Over the years, Neal has been active in several charities, but nearest to his heart is the Bay Cares program, which he chairs, a charity that provides free specialty care to the working poor, with an operational overhead of less than 0.5%. This critical care provides surgery, chemotherapy and other life-saving treatments to those who cannot otherwise afford it. In addition to Bay Cares, Neal and Leah have both been involved in numerous community groups, including the American Cancer Society, American Heart Association, Prostate Cancer Foundation, Bay Health Foundation, Relay for Life, Movember Foundation (men's health), AMVETS, Bay Education Foundation, Florida State University Panama City, Gulf Coast State College, the Science and Discovery Center, Cub Scouts, Boy Scouts of America, numerous School PTAs, athletic and academic teams. For many years, Neal organized free physicals for Bay County students and scouts. 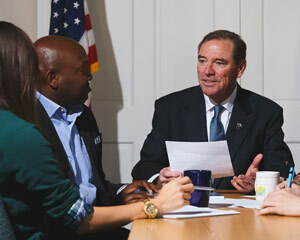 In 2008, Neal worked with community leaders to open Summit Bank, a local community bank that provides banking services to small businesses in North Florida. Summit Bank was recently named the 25th healthiest bank in the United States. 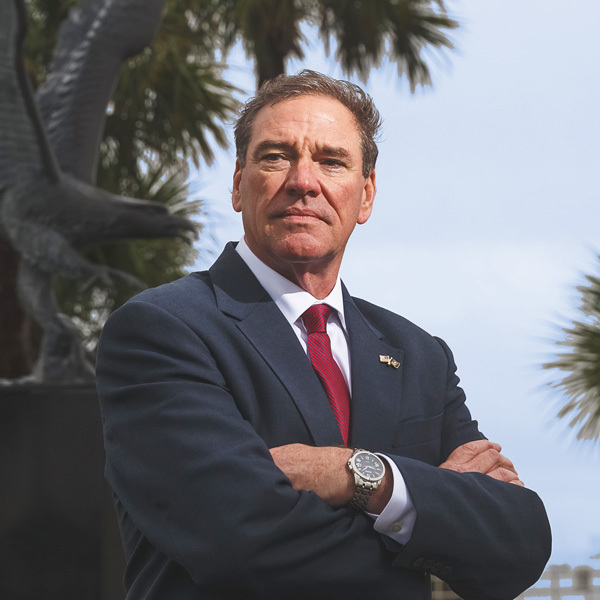 In 2014, Neal was appointed to the Boards of Enterprise Florida and Space Florida, both of which are economic development organizations focused on growing jobs and building the economy in Florida. Neal and Leah's families both have a long tradition of military service and this was the common bond that brought them together. 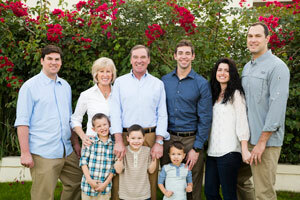 They have been married for over 30 years and have 3 sons, Alex, Patrick, and David and 3 wonderful grandsons. Christian values were the foundation of young Neal’s family life growing up where he was blessed to be born into a family where serving God, country and a fellow man was expected. Neal lives these values and is proud to pass on these foundations for life to his children and grandchildren.